Some folks know that I originally hail from Winnipeg, Manitoba, Canada though long ago adopted Mumbai, Maharashtra, India as home. 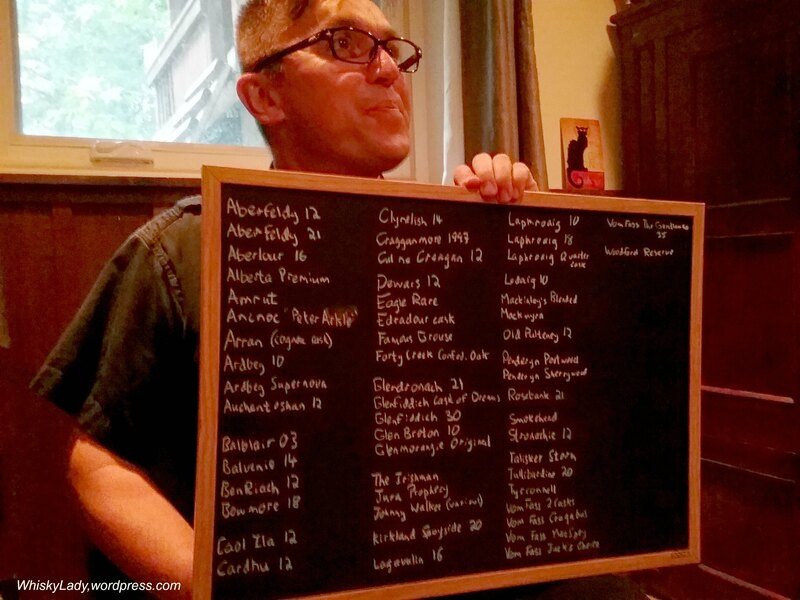 During my June 2016 trip back to the ‘Peg, I had several whisky treats – not the least of which was a most enjoyable evening spent with the lads from “The Cabinet” – a venerable whisky tasting group based in Winnipeg. During an earlier trip several years ago I had the distinct pleasure of joining a Cabinet session and was introduced to their constitution, traditions and lore. Since then these merry men (and yes they are ALL men!) have further evolved during their 9 odd years of gathering. They update a chalk board that lists what currently resides inside “The Cabinet“, which is unlocked precisely at the given hour and the session is called to order. As guest, I had the pick of the open bottles to whet our whistle before the real evening commenced. Purely as it is increasingly rare to come across a bottle, my eye spotted the Rosebank 21 year… What can I say? I’m a sucker for indulging in discontinued distillery samples when the opportunity arises! 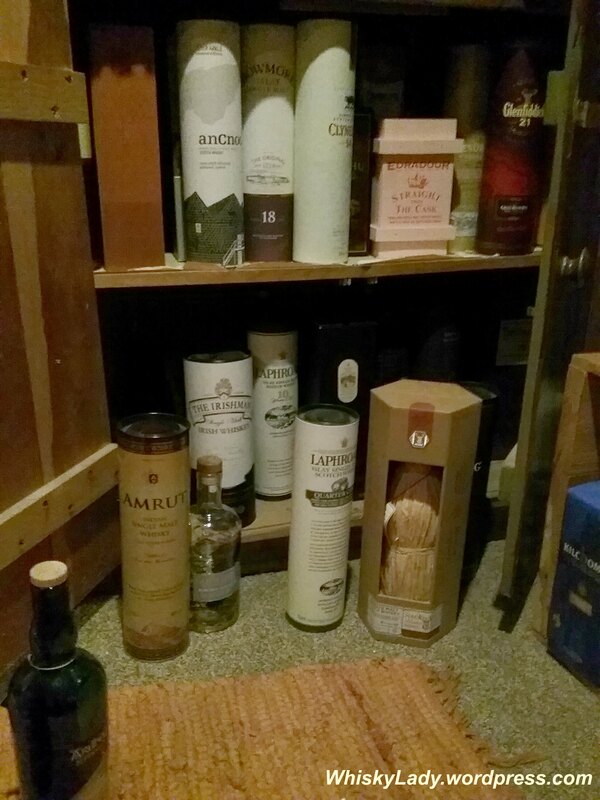 Post my selection, we had a decidedly peaty tour with the room scented with peaty smoke. Our host shared insights from his most recent Scottish whisky tour and even managed to acquire ‘peat pellets’ from Manitoba, wondering why oh why isn’t there a good peaty single malt made in Manitoba? Thank you again gentlemen and I look forward to our continued tasting adventures! My sister and her partner kindly host a gathering when I’m back in my hometown of Winnipeg. This time her partner suggested we head over to the local “LC” (Liquor Commission) and grocery store to stock up on a few drinkables and edibles for the celebration. 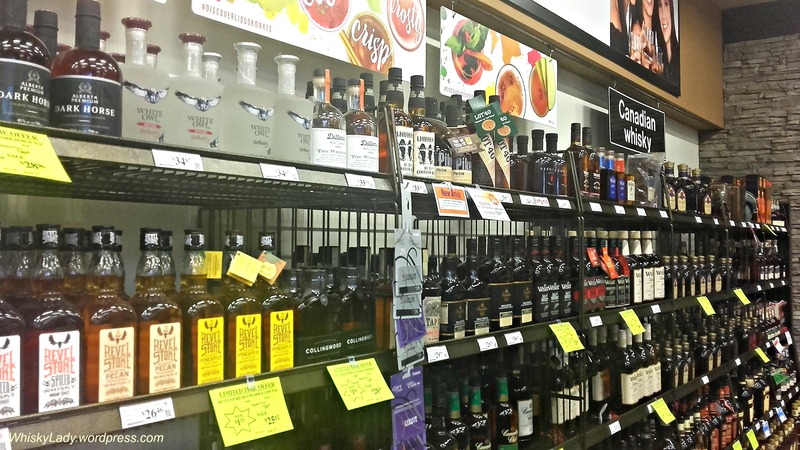 Cue wide-eyed kid in a candy store dazed expression… because the array of wines, beer and other liquid libations available in your regular old liquor store in Winnipeg far outdo your local Mumbai “wine shop”. They also have multiple tasting corners to try before you buy – I’m a HUUUGE fan of this concept! 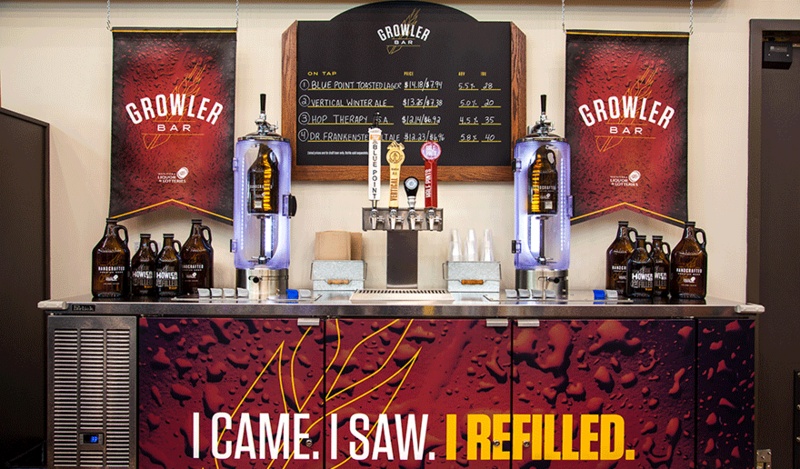 First I was introduced to a “Growler Bar” where you re-fill your empty growler (1.89 L) or howler (946 ml) with beers on tap. Naturally everything is available to sip before you commit. Rather than hoard bottles, when Northern Harvest Rye initially flew off the shelves after Jim Murray catapulted it to his global top spot, Canadian liquor stores were re-stocked with the remaining 200 cases at the same price… with free samples being generously shared so the public could enjoy. How utterly Canadian, eh? While we were decidedly delayed in completing our simple shopping list, what fun to while away some time with friendly knowledgable staff while sampling a few interesting wares not readily accessible in Mumbai! Any local liquor store that you enjoy visiting? Our Whisky Ladies in Mumbai are a merry lot and so if one of our members has a birthday, that naturally demands a small celebration… and cake… chocolate of course! 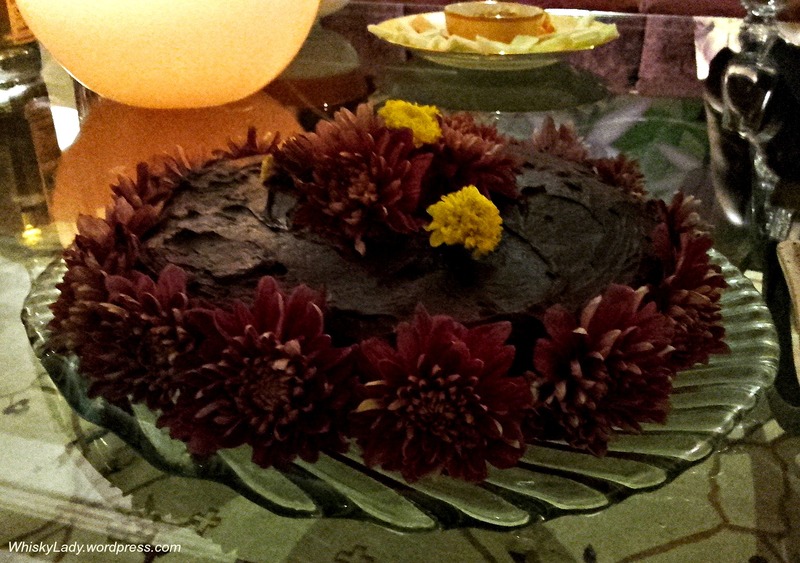 While our host made from scratch this luscious number… adorned with flowers for a fanciful flourish. 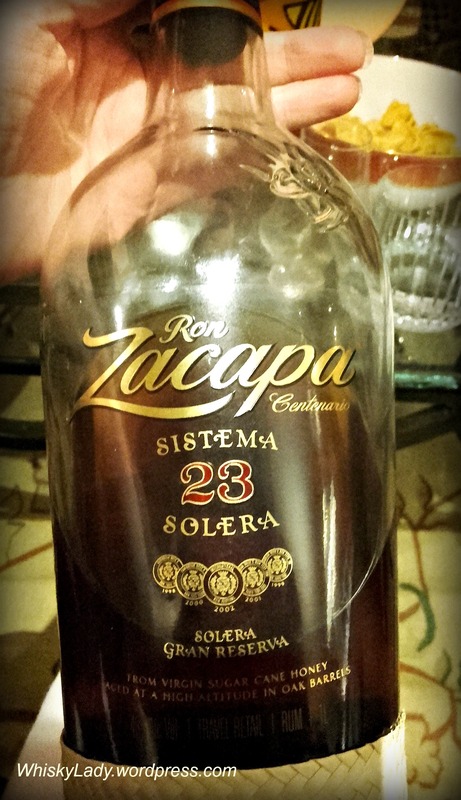 Our birthday lass decided we needed a treat…Zacapa 23 Sistema Solera. 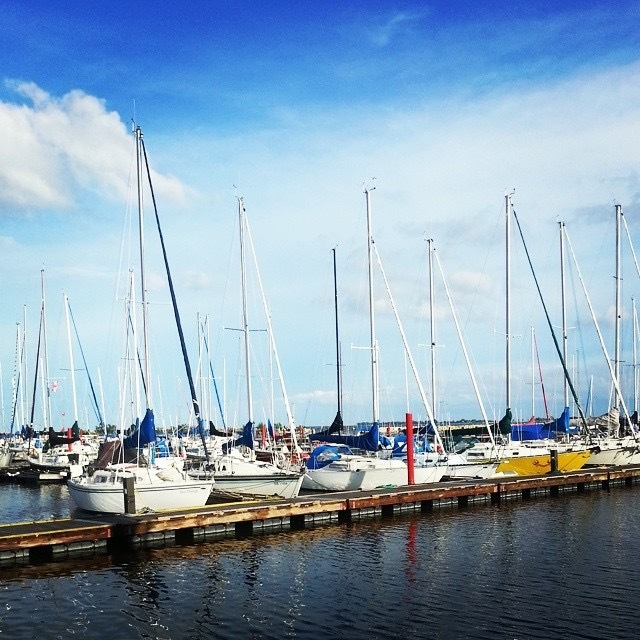 Now there are rums and then there are rums! From Guatemala, it is called ‘solera’ for the system used to blend the rum. No simple affair here, it is matured in a mix of bourbon and sherry casks… Unlike whisky where the age depicted is the youngest found, for rum it is the oldest. Hence Zacapa 23 does indeed contain SOME 23 year old rum, however is known to be a range from 6 to 23 year. Keynote – Wonderfully intricate with honeyed butterscotch, spiced oak and raisined fruit, showcasing the complexity of the sistema solera ageing process. Appearance – Light mahogany, with the tones of long barrel ageing at the rim and long, slow legs clinging to the glass. Nose – A soft start which develops complexity in the glass; sweet aromas of caramel, vanilla, cacao and butterscotch, combining with layers of flavour indicative of the different barrels in the solera process; sherried notes of caramelised, roasted brazil nuts and toasted hazelnut, and the characteristic rounded toffeed banana and dried pineapple of ex-American whiskey casks. Palate – Wonderfully complex, generous and full-bodied, with a sweet honeyed viscosity atypical of an aged spirit; a great depth of raisined fruit and apricot preserves, building to an intense heart of savoury oak, nutmeg, leather and tobacco with notes of coffee and delicately sweet vanilla, balanced with a spicy touch of cinnamon and ginger on the pleasantly astringent finish; truly a rum for the discerning palate. We didn’t even pretend to make tasting notes, simply enjoyed its sweet chocolatey, slightly smoky molasses nutty delights. 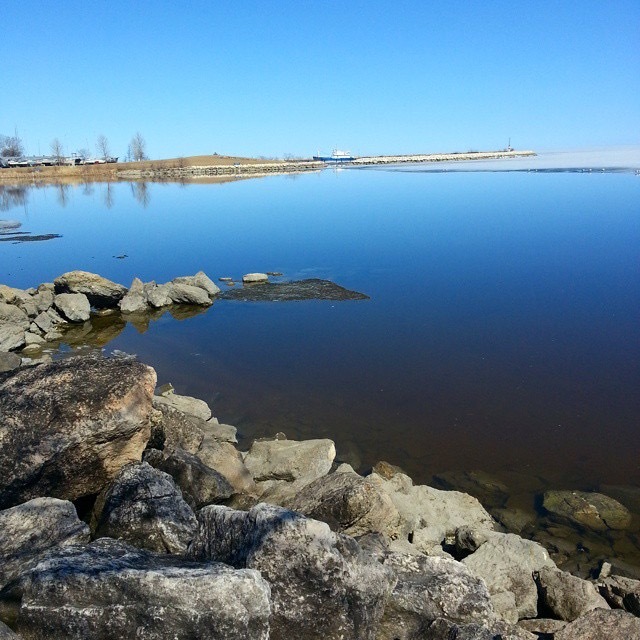 PS Photos all courtesy of a dear friend living in Gimli – Thanks Clarina! Next upon our evening of ‘Unchartered Territory‘, our host further eased up slightly from both peat and strength to introduce a new distillery – Inchgower. Moved and renamed, rescued and preserved, Inchgower became more than just a distillery for its founders and his loyal workers. It was an idea – a reaction to increasing land prices, and a commitment to Single Malt Scotch Whisky – and one of the only distilleries to inspire a poem. What a treat! It was unfamiliar yet friendly. One of those whiskies that has enough going on to be interesting yet still be quite amiable. The whisky has delicate Sherry influence with fresh pineapple and peach aromas. The palate is mouth warming with ripe banana and orange flavours. The finish is creamy with a milk chocolate edge. For our host, it was unchartered territory to reverse the standard adage of lower strength to higher strength whisky… or begin with a whisky with lower peat levels then build up. His logic was that he anticipated the Inchgower to be quite unique and wanted to leave the best for last. This was definitely a case of having the showstopper at the end! So what was our conclusion by the end of the evening? 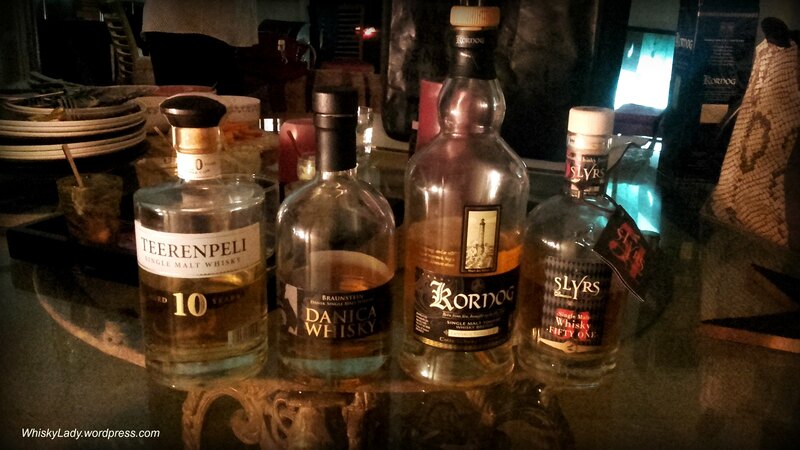 What were the whiskies we sampled in our ‘Unchartered Territory‘ evening? Next upon our evening of ‘Unchartered Territory‘, our host eased up slightly from the peat and strength after the Talisker 57’ North 57%. 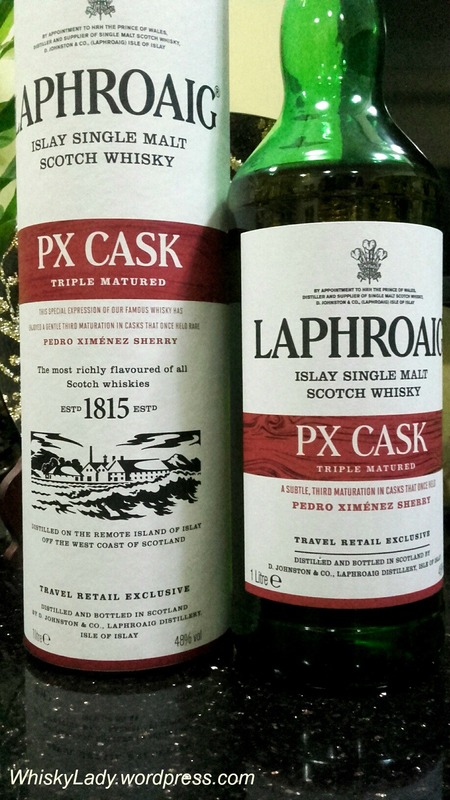 The Laphroaig PX Cask began its maturation in ex-bourbon barrels, then quarter casks before being finished in European oak Pedro Ximenez (PX) Sherry casks. As we sampled, we found ourselves reaching for cucumbers – finding the whisky went well with the slightly bitter refreshing cucumber slices we keep on hand as a palate cleanser between whiskies. And the reveal? Had the sense of it being closer to 43% than 48% and once we learned it was Laphroaig, it went ‘click’ as clearly part of the Laphroaig family. Overall what did we think? Nothing wrong, yet nothing hugely right. Particularly after the Talisker, this one just did not stand out. 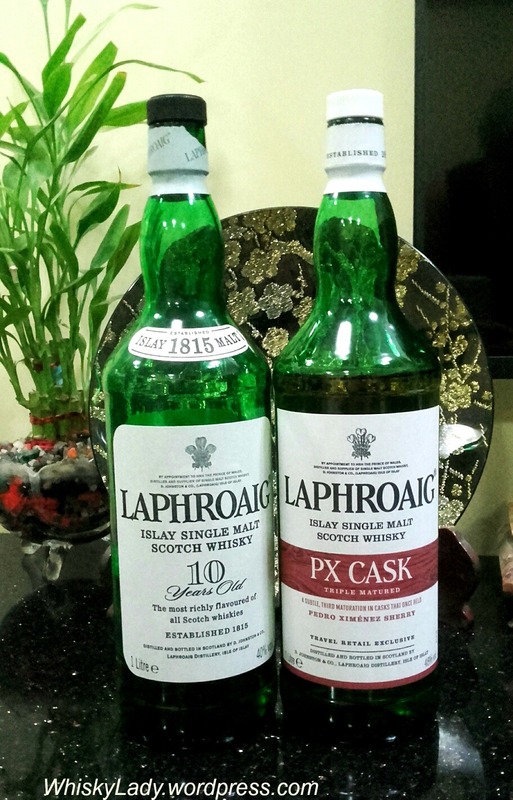 It also surprised us as being a PX cask as we found few of the elements normally associated with the softer sweeter PX sherry PX cask matured whiskies. I remember sampling it at Singapore duty free with the staff quite hopeful it would peak my interest, yet I resisted. Just as we found, my impression was that it wasn’t bad but it wasn’t outstandingly good either and certainly not exceptional enough to make the ‘cut’ for a precious purchase to bring back to Bombay. What other whiskies did we sample in our ‘Unchartered Territory‘ evening? Whisky sampling convention tends to lean towards starting a tasting evening with the softer, gentler whiskies and closing with the powerful peat monsters and higher strength or more mature whiskies. We’ve certainly played around with a few approaches and tend to more or less follow such an approach with more focus on a progression in flavour profile from more delicate and light whiskies to more forceful and robust whiskies rather than strictly age or strength. For our May session, our host decided to go completely against such notions to explore ‘Unchartered Territory‘ with the boldest and strongest dram first, then ease up on the strength and profile as the evening progressed. As usual, we sampled blind then revealed… and where did we begin? 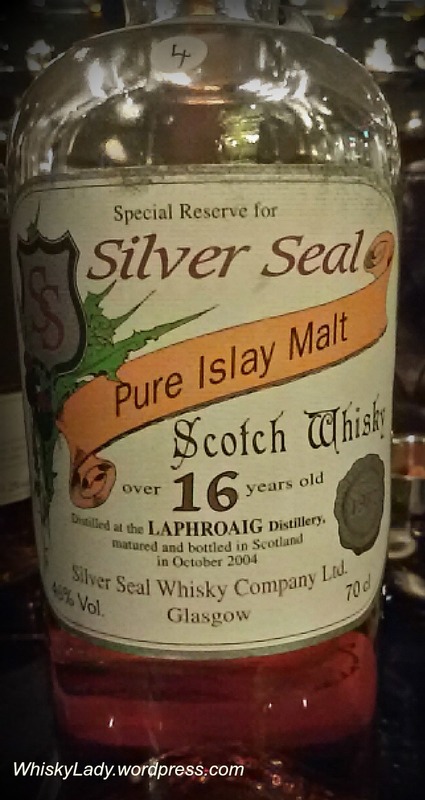 Overall found it quite challenging, a surprise, definitely not a whisky to be taken lightly. No warm fuzzy familiar dram here. That said, the reveal was a surprise. 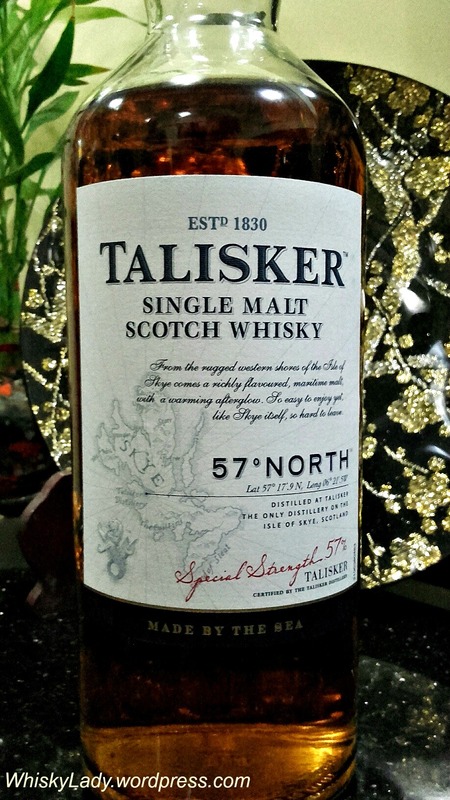 It has been some time since we gave Talisker a chance and a change to try one at 57%. 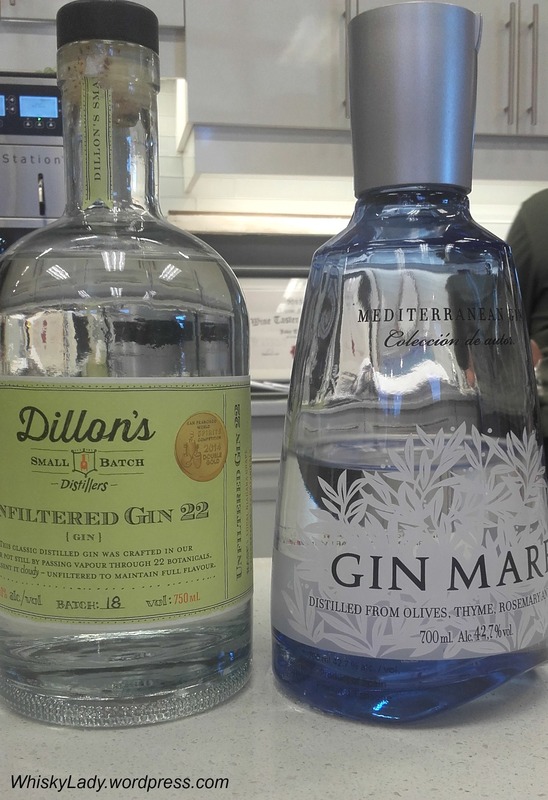 The first two products are being tested in Germany and Austria are Smoky Goat, described as ‘smoky sweet,’ and Boxing Hares, a spirit drink made from Scotch whisky infused with hops. They say the name Smoky Goat comes from the tough yet playful wild goats that roam Islay’s most rugged and remote lands. 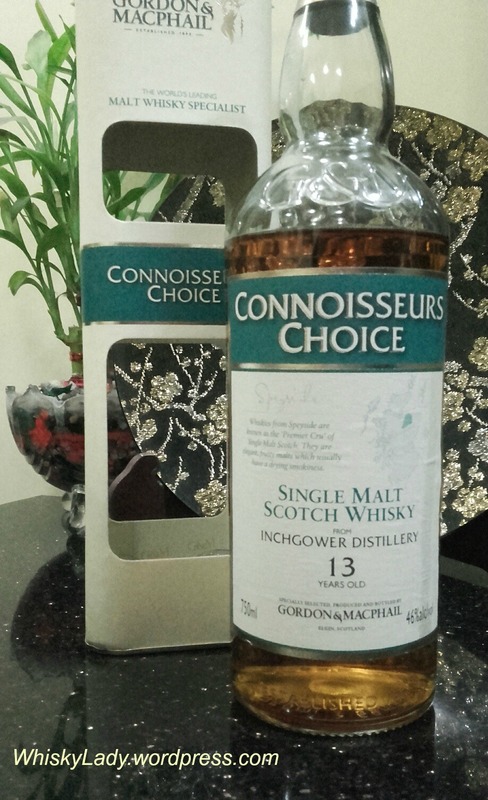 Our Whisky Ladies host picked up the bottle in Vienna as part of an evening unabashedly celebrating “I like the label!” We were naturally all curious to see what it would reveal! Palate – Silence. I swear not a single comment or sensible observation other than it clearly not appealing. After being immersed in a bonfire, we expected something. Anything. Honestly don’t recall one specific comment. We struggled with this one. Perhaps it is because it followed the delightful surprise of Australia’s Starward, but this one just didn’t strike a chord with us at all. First off, this is no Monkey Shoulder! William Grant’s vatted malt of Glenfiddich, Balvenie and Kininvie is an example where the sum becomes more than its parts. It is a well balanced affordable whisky that hits all the ‘tick’ boxes for an enjoyable dram. The other strange thing is that on the peat scale, it isn’t off the charts. It is simply that there’s not enough other good stuff going on beyond the campfire burn to capture attention or even things out. While a step ahead of the ashtray Smokehead’s Rock edition, it doesn’t come close to the remarkably balanced Compass Box Peat Monster or even spitting distance of the killer (in a good way) Bruichladdich Octomore. In fairness, it is intended to be an experiment. And the great thing about pushing the boundaries is such innovation can lead to something truly remarkable. In this case? Nah… but heck, why not keep trying! Smoky Goat is a Blended Scotch artfully combining Whisky of three styles; Sweet Grain, Highland Malt creating the body and character of the blend, and Islay whisky providing the Smoke. Craig Wallace the man who made Smoky Goat had a passion to make the smokiest of blends yet unusually to balance this smoke with an irresistible sweetness. 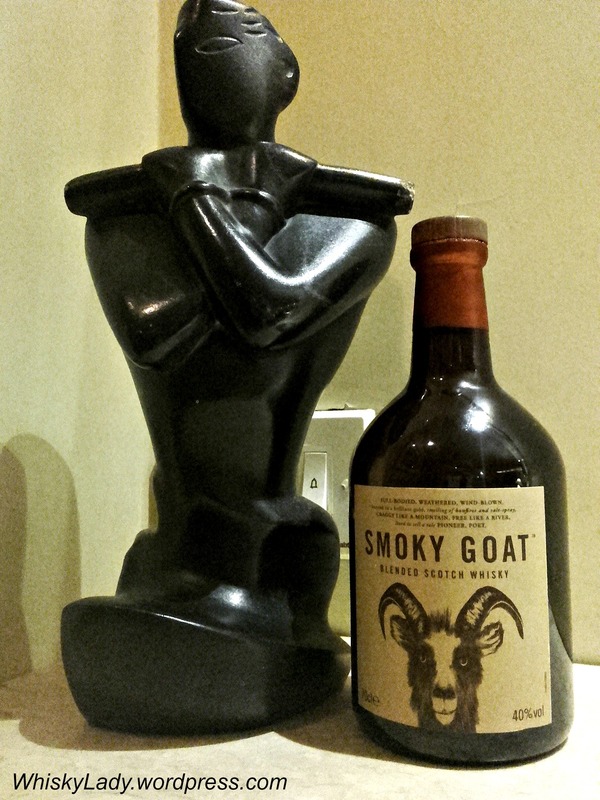 His passion paid off, as Smoky Goat was awarded the Best Whiskey Innovation 2015* and Double Gold at the San Francisco World Spirits Competition 2016. The flavour is sweet and soulful, full bodied with honey vanilla and toffee brought together in a BBQ smoky blend. Best served as “Goat on the rocks”, the ice slowly unleashing the smoky flavour. You won’t find many reviews out there yet, mostly marketing spins, except Whisky.com’s Horst Lenin vlog – spot on.